I just wanted to pop in today with a quick post on Illamasqua's Intense Lipgloss in Mistress. 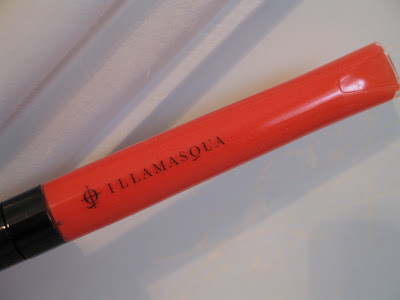 Prior to writing this review, out of curiousity, I took a peek at my old Illamasqua review from way back in 2009. YES, 2009! I didn't even realize I had this blog for that long. I discovered that my current thoughts of the Intense Lipgloss Formula are still fairly the same compared to my first impressions from Fall 2009. I feel like I did grow a bit though in terms of my writing style, photography skills, and "makeup" intelligence LOL. For instance, I wrote, that the gloss "doesn't last all day like most glosses do." I obviously have tried many more glosses since than and now know that glosses rarely last all day! Illamasqua produces one of the best lip glosses that I've ever tried and by now, I've tried many. In my experience, every single "Intense" Lipgloss that I've ever tried has been extremely pigmented (what you see in the tube is what you get) and you don't need a lot to fully cover your entire lips. The glosses contain a sort of thicker, creamier consistency and the color lasts for about 5 hours. While the shine will fade overtime, the color will stay. 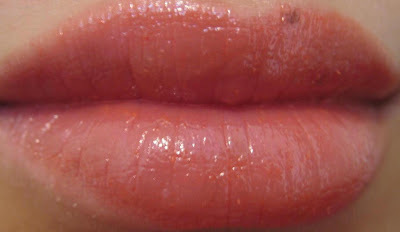 The gloss is also moisturizing and even applies fairly well to dry lips. I've heard many say that the formula is non-sticky. I don't feel that it's 100% non-sticky -I'd say it's just sticky enough to stay on the lips but not sticky to the point where it starts to be annoying and uncomfortable. 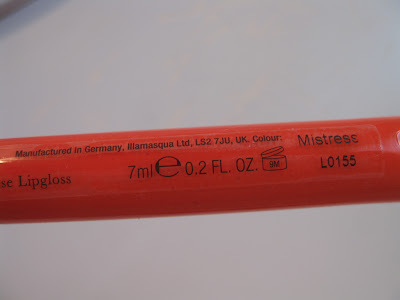 Mistress is a bright coral that's more on the orange-y side. Surprisingly, it wasn't too bright for me. 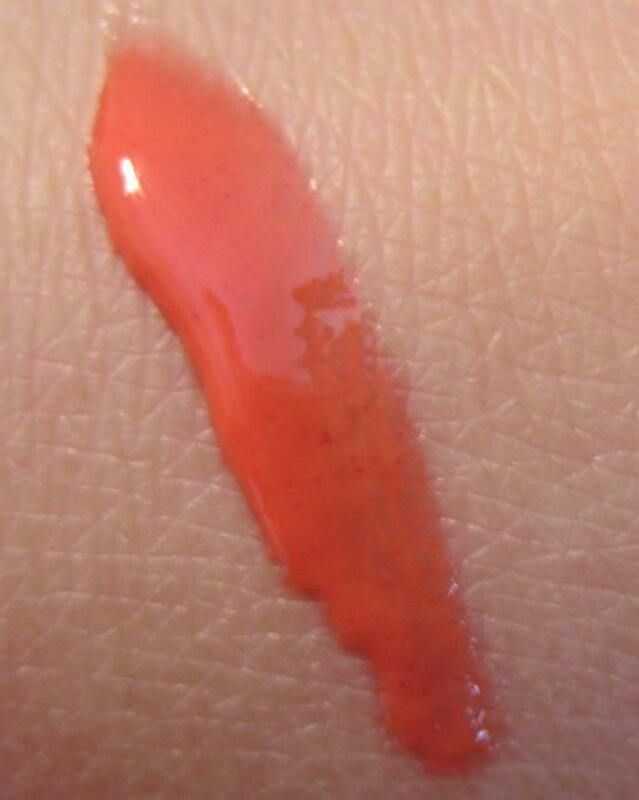 I just added a few dabs of and spread out the gloss which gave me a more toned down look as opposed a bright, in-your-face coral lip (which the gloss is definitely capable of!) This shade is perfect for summer. stunning!! just a gorgeous colour...love the packagaing ...i want this really really bad!!! Love the color on you dear :] looks like a very romantic color. @ Steph xox.. I really love the packaging too. =) It's clean and simple. @ Anna Elizabeth.. Me too! I love coral especially for summer so I can't wait for the warm weather to kick in. @ Vintage Makeup.. Thank you! @ SiSi Sparkles.. It is. I prefer it more toned down -would be really cute for date night. @ Donna ♥ Baby.. Oooh that's actually because I only added a tiny "dab" and spread the color to the rest of my lips. If I had added more, the color would've been VERY intense. I prefer it more toned down. Because she added more, it's WAY more pigmented and brighter. Hope that helps!